Super blood wolf moon: How long will the total lunar eclipse last? A rare lunar eclipse will unfold Sunday night — and it’ll be hard to miss if you stay up. As long as the weather cooperates, the “super blood wolf moon” will be visible across the U.S., Europe and parts of Africa and Russia. 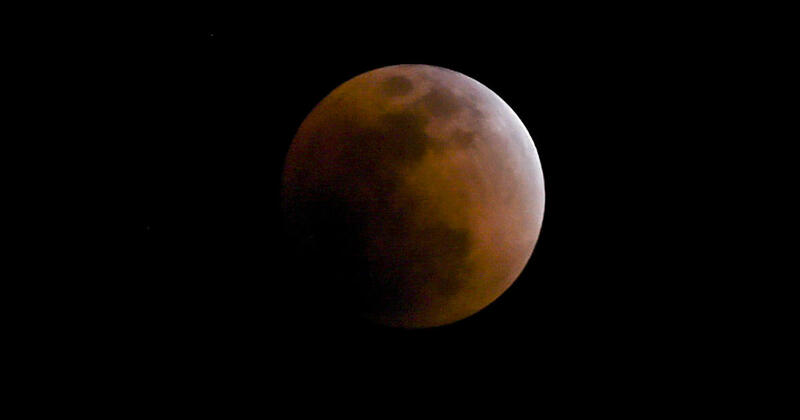 According to Space.com, this will be the first total lunar eclipse that will be visible before midnight from start to finish in the majority of the U.S. in 19 years. It’s also the first total lunar eclipse visible in North America in three years. The super blood wolf moon is combination of three lunar events at once. A supermoon is when the moon is closest to Earth in its orbit during its full phase, making it appear bigger. Wolf moon is a Native American name for the first full moon of the year. A blood moon occurs with a total lunar eclipse when the sun, Earth and moon all line up and the shadow of the Earth casts a reddish glow on its lone natural satellite. How long will this lunar eclipse last? Unlike a solar eclipse, which you need special protective glasses to view safely, it’s perfectly safe to look up at a lunar eclipse with the naked eye. Weather forecasts predict harsh cold and a winter storm for the Martin Luther King Jr. holiday weekend throughout much of the U.S. so it may not be optimal conditions to be outside, but there will be live-stream options available to view the eclipse online.